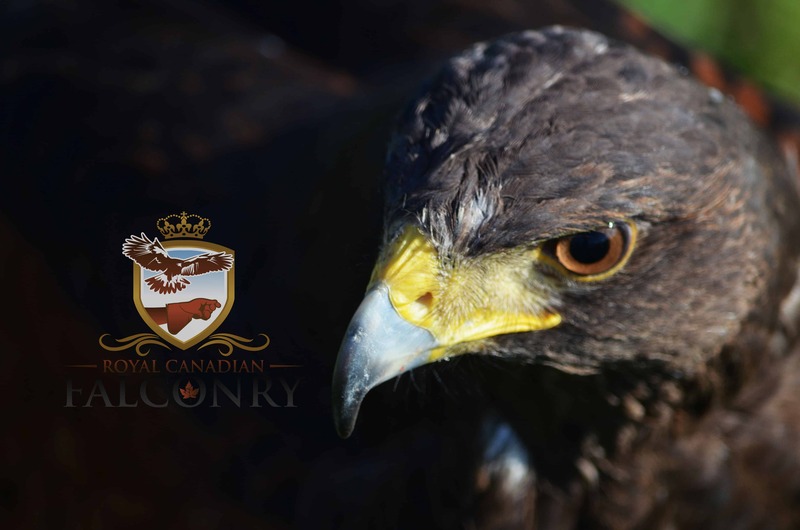 Royal Canadian Falconry uses modern avian behavioural understanding combined with traditional falconry methods to train our birds of prey for public demonstrations. We provide interactive experiences and workshops to bring our birds closer to the public, in order to instill a sense of wonder and responsibility within the next generation of conservationists. RVT owned and operated- our mission is to achieve the highest standards of avian training, care and educational programming through knowledge, continued education, and specialized training. We do this by making the physical and mental well being of each animal our primary consideration and to maintain excellence in animal handling. 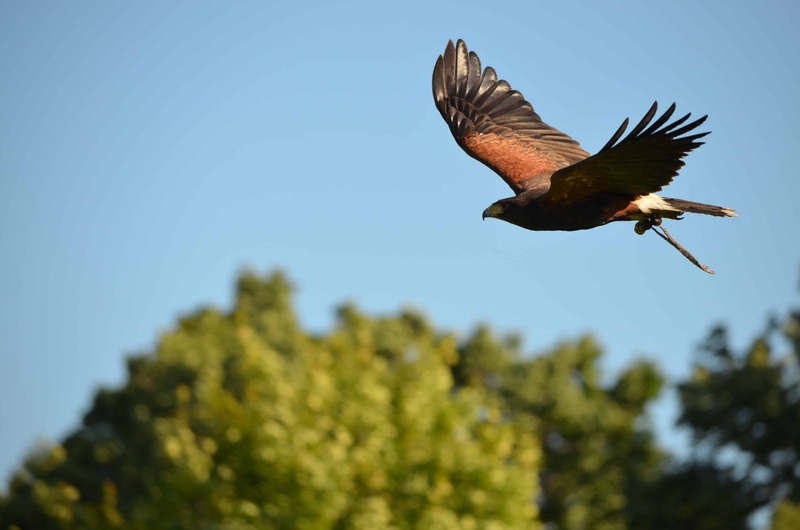 We uphold the strict code of ethics in practicing the art of falconry, always respecting the wild nature and maintaining the dignity of our birds of prey. We provide interactive and educational experiences and workshops for ages 5 and up. 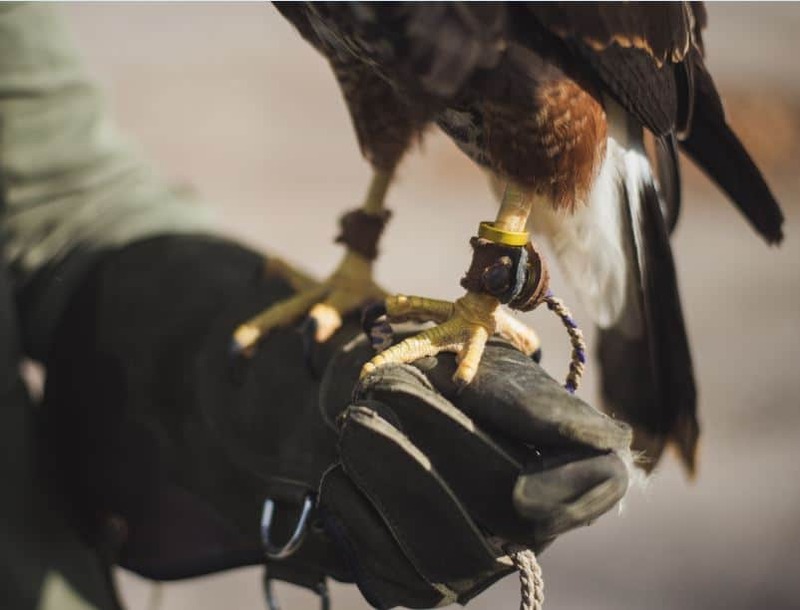 Our Falconry Experience is a unique opportunity for guests to participate in an interactive educational demonstration. Perfect for the avid bird lover, outdoorsman, or adventurer. Go on a guided hike with a falconer and hawk soaring along. Experience the ancient sport of kings. Learn about natural history, culture, and biology. 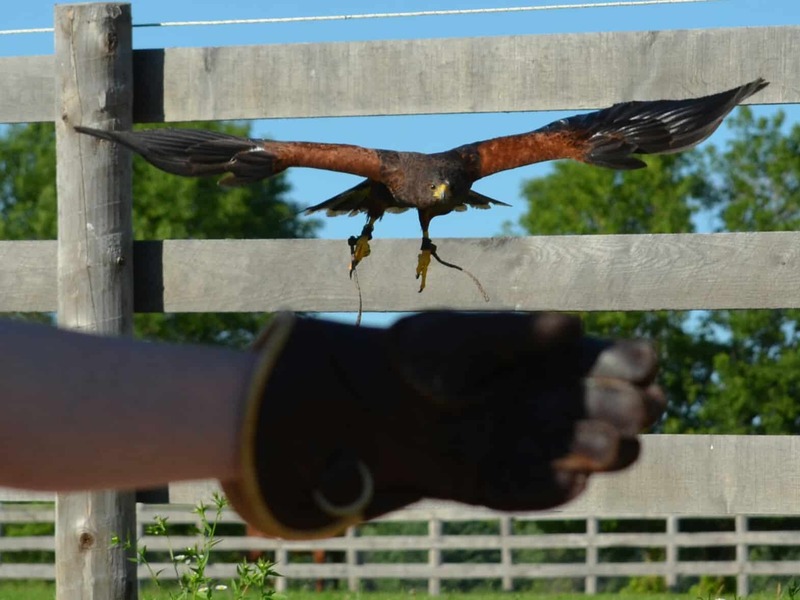 Participants will have the opportunity to fly a Harris' hawk, and to call the bird of prey to land on your gloved fist! Interact with the bird of prey up close and personal like never before. Our birds are GREAT WITH KIDS!